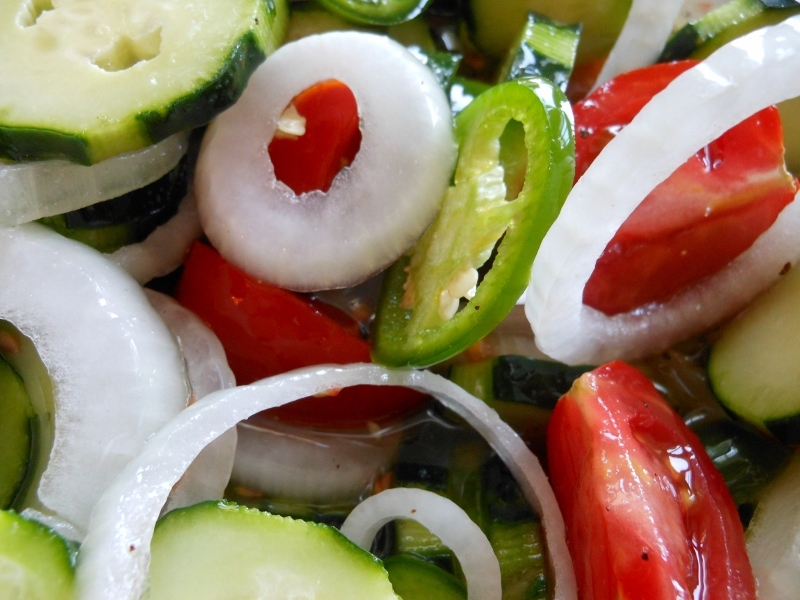 This is one of my favorite summer salads. I went by the farmers market today and one of the venders had some fresh cucumbers. I couldn’t resist but make this combination. Charles loves spicy food so the jalapeno was a great touch. 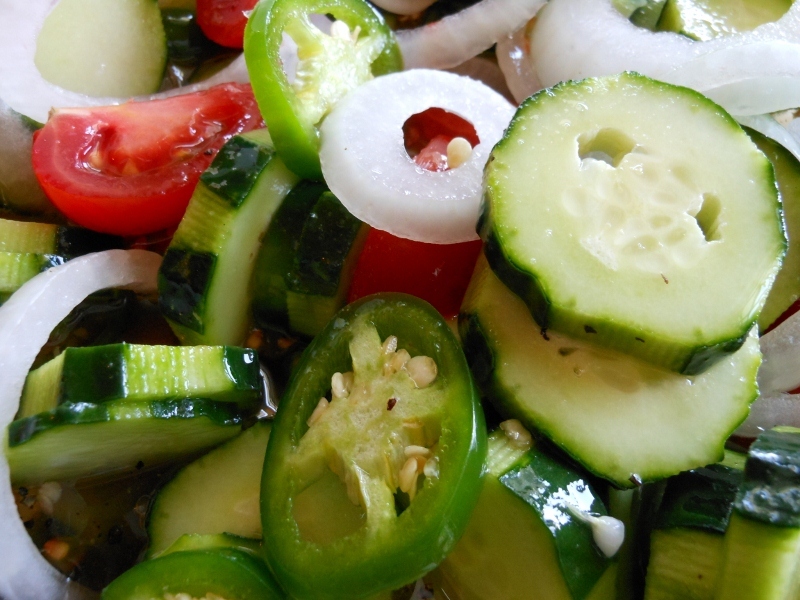 I don’t care to eat the jalapeno slices myself but I do enjoy the way the heat permeates through a bit and adds a nice flavor. I am sure I will post another variation or two by the time the summer is over but here is my first creation. If desired peel cucumbers. 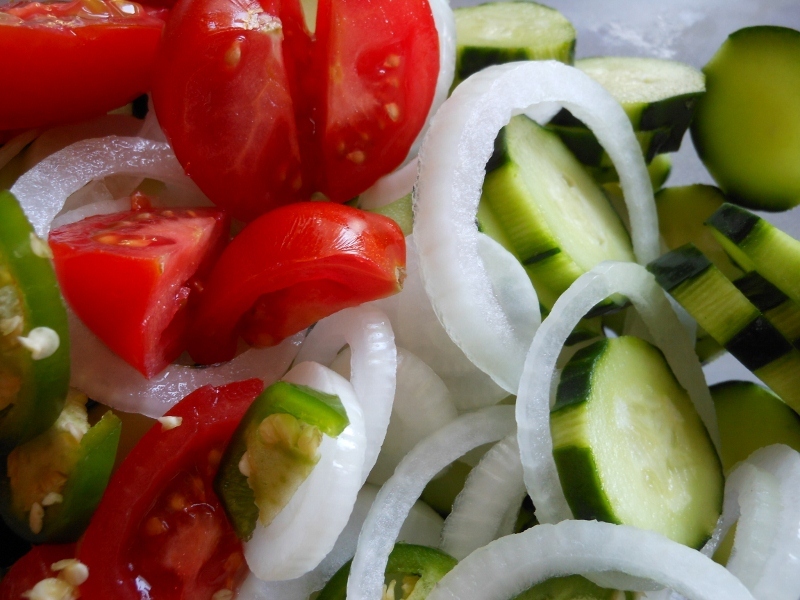 Slice cucumbers and onions; cut tomatoes into wedges and thinly slice jalapeno. 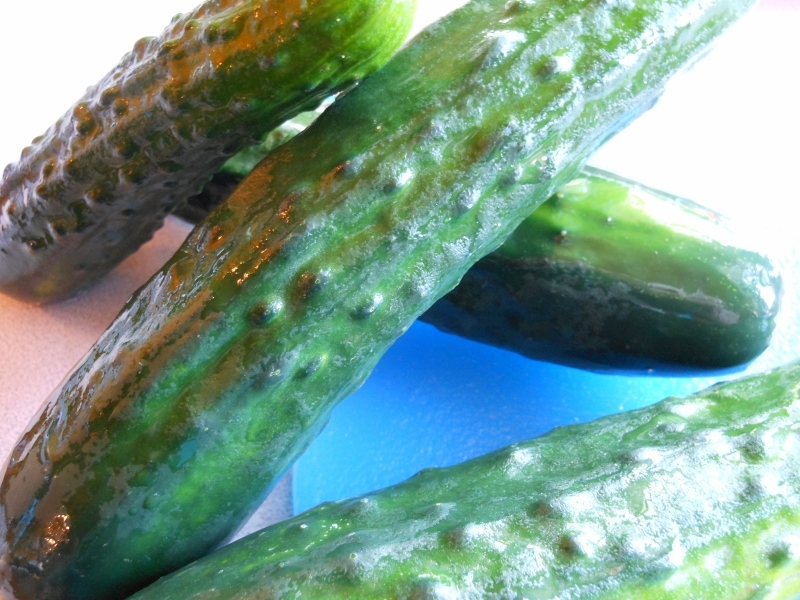 Mix sugar and vinegar and pour over cucumbers. Sprinkle salt and pepper to taste.